One of the best interviews I’ve read. When i first met Marta a couple of years ago, it was through one of her posts. She did not post a picture then, however, I was immensely intrigued with her. Finally, one day she commented back to one of my posts, and i was thrilled. I just knew she was a woman and writer, I wanted to know. I am sooooo very glad I did get to know her as she has been and still is a great inspiration to me. I read her book, Just Toss the Ashes, and right away i could see the versatility in her personas. 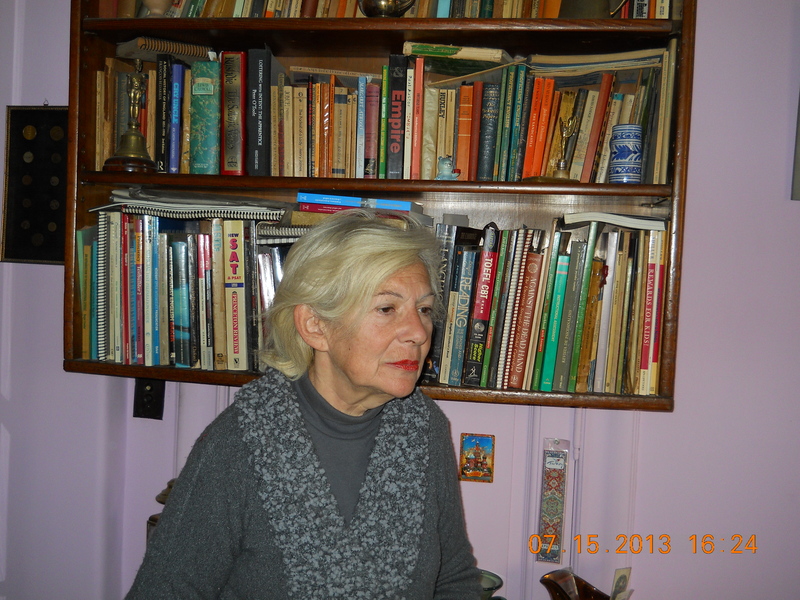 That’s when I found the courage to tell Marta, I felt as though I had fallen into a dark hole with my writing, (not because of her wonderful book), however because I had being discouraged by family members. She explained to me, (I wonder if you remember sister) that family will do that sometimes, and I should continue on. She then asked to read my writing, and continued encouraging me, often, still does. Had i not met her, I might have given up on something that means the world to me. I also learned from Marta that, it’s okay to write with grit. For that I’m appreciative as well. Oh Pat, I remember every single detail about how we cemented our wonderful relationship. I have much to thank you for, besides the fact that I love your writing and that I’m proud you’ve picked me as your sister. All my love, Marta. I really like the way you have presented Marta and I will comment only on one of the comments in her answers that struck me although I could write forever about her. Marta, even though you don’t consider yourself to be a bestselling author, I consider you to be one of the most proliferate authors of our time that write fiction with realistic honesty. Your books remove the rose colored glasses from people’s eyes, if they will let it. You have a sharp-cutting honesty combined with integrity that will challenge any person who encounters you to look at themselves in a mirror and examine themselves. This doesn’t mean that you are arrogant in any way. These qualities that you have, instead have intensified your emotions and cause you to love from the heart genuinely as you reach out to others. You have depths within yourself, Sis, that are still not explored and as you move beyond and towards those points to discover yourself, you will continue to evolve into that human being that moves towards enlightenment. I see that happening in your life and I’m happy to walk with you on your journey. Patti, I know how you feel about me and my writing. You are one of the best people in my life, and I’m deeply grateful that we are sisters. Your company along my journey is a true gift. Thank you Lori for giving us the opportunity to learn more about Marta’s life and writing. Another great interview. Thank you for stopping by and for your constant support, Laurie! Every post I read about you Marta, teaches me a little more about the woman I call sister. This one is no exception. Yes, “going against the grain” has it’s drawbacks in the literary community, but in my opinion, the goal of any literary work is to evoke feelings…good or bad. As a writer, when you can do that, you have touched the essence of the reader…their soul. Beautiful post my sister! Each time I read about an author, I learn more about them and their character. Marta is an intriguing woman. She has such passion for people and her work. 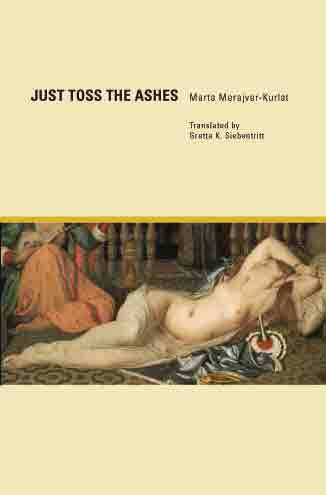 I’m happy to have learn more about “Just Toss the Ashes.” This sounds like a great read. We share the passion, Cherrye. I greatly admire your work against bullying, and you’d probably enjoy JTTA. Thanks for taking the time to read the interview! Great interview, Marta, enjoyed reading it! Thank you, Mike. Looking forward to your book! I’m sure I won’t be disappointed. What a great interview, Marta. I enjoyed reading through this! Thanks! Raani, your continual support is very important to me. Thank YOU for that! Lori, I’m deeply grateful for showcasing my work and taking an interest in the person behind the pen. I’m one of your most fervent admirers! Such a wonderful interview from Marta. I enjoyed not only reading “Just Throw The Ashes”, but also getting to know the author as a person. Thanks Lori for providing this glimpse of a very fine and talented author. Much success, Marta. Good things should come your way. Thank you for your kindness and friendship, Cynthia dear. It feels good to be among my favorite writers here, on the blog of another favorite writer.